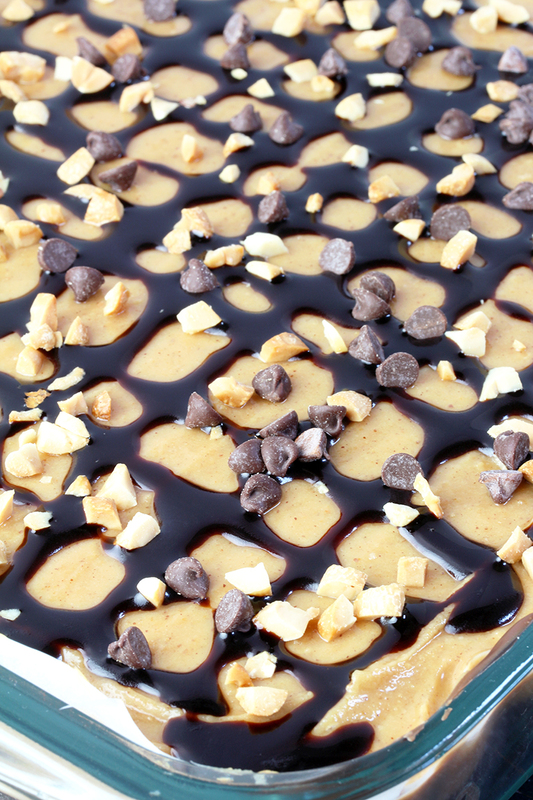 Here is the recipe for perfectly tasty Peanut Butter Chocolate Poke Cake. It takes a special place in my cookbook. 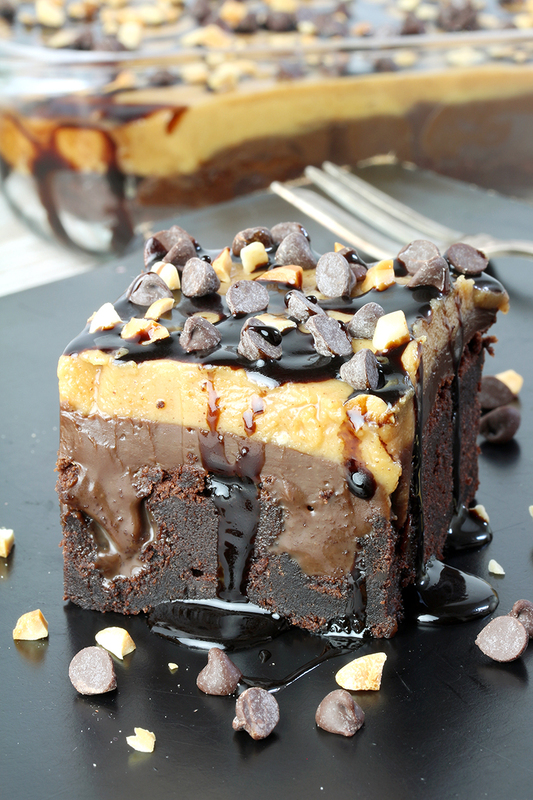 Chocolate + peanut butter = perfection. I am crazy about this combination. 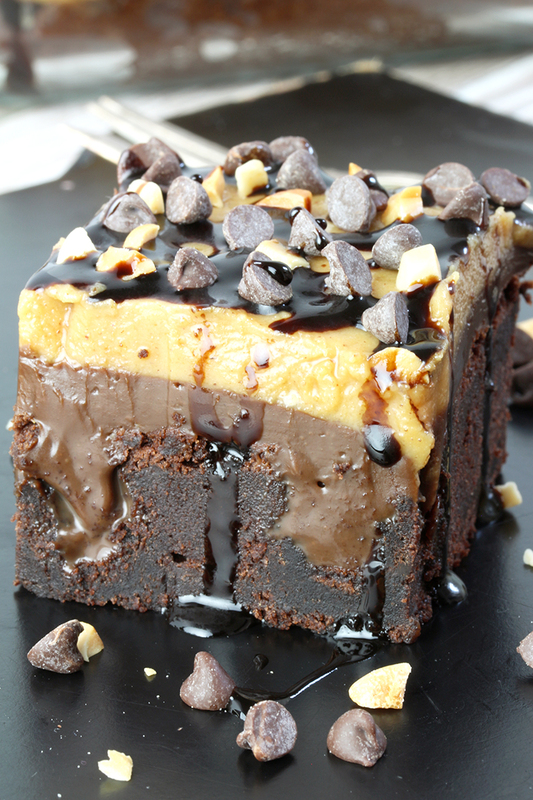 This Peanut Butter Chocolate Poke Cake is one of my favorite desserts. 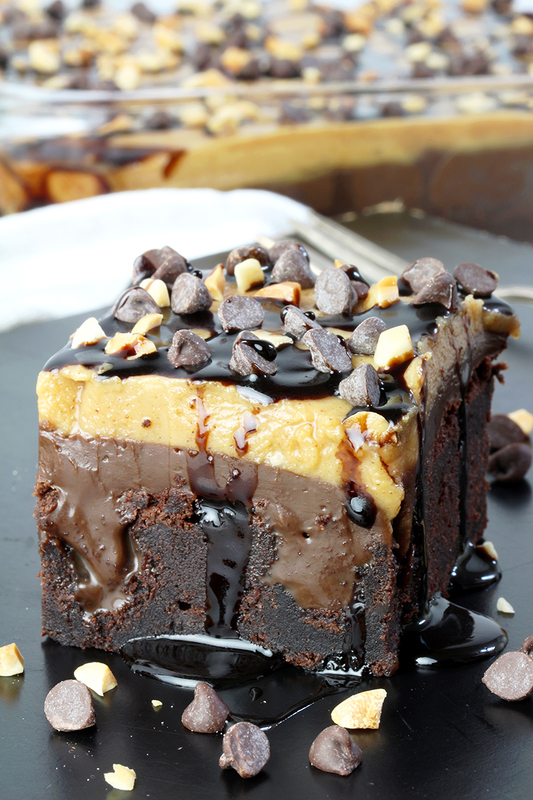 Chocolate poke cake, chocolate layer made of condensed milk and chocolate above it, then a layer of peanut butter with chopped peanuts, chocolate chips and chocolate syrup make this perfection. Yum! It’s so easy and quick to prepare. All you need is ready made chocolate cake mix and the ingredients you can find on the package: condensed milk, chocolate, peanut butter, butter, powdered sugar, vanilla and heavy cream for creamy layers over the chocolate foundation. 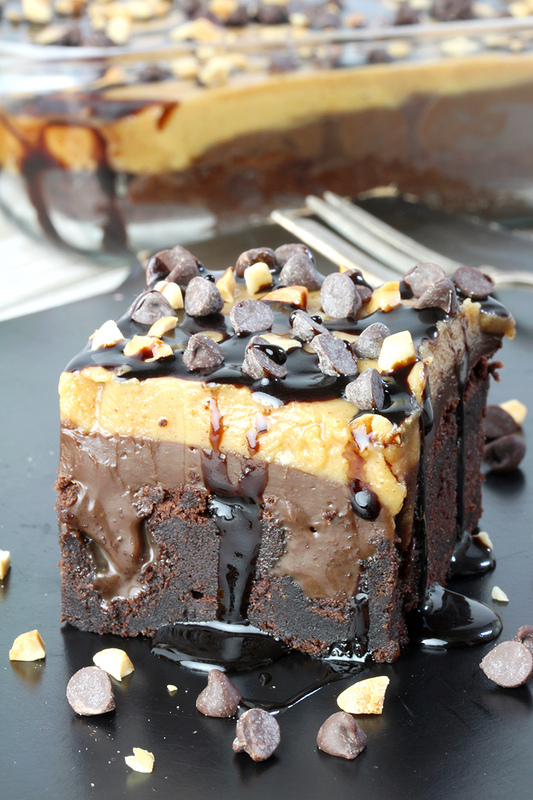 This Peanut Butter Chocolate Poke Cake is really love at first bite! It looks great and tastes even better. All the chocolate fans will love this bombastic treat and its full chocolate taste enriched with peanut butter. I especially like the fact that it is o easy to prepare. Cakes that are quick and easy to prepare are a winning combination for me. 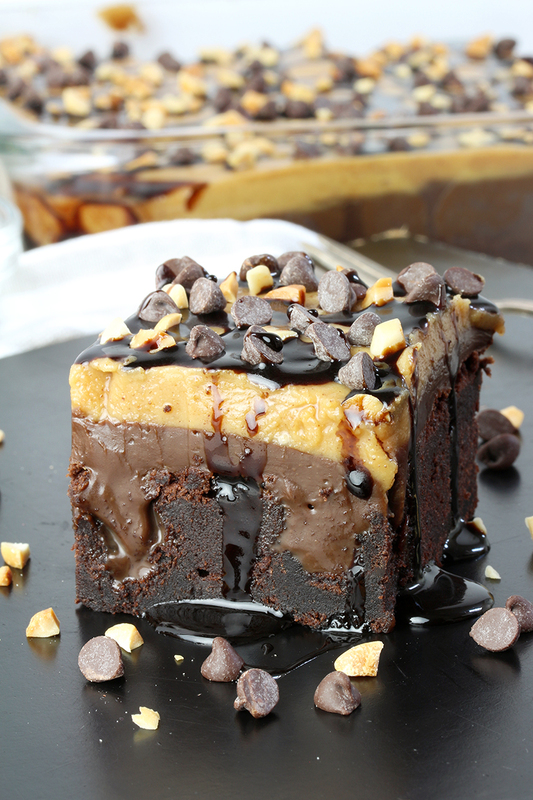 If chocolate is what you are looking for in a cake, then Peanut Butter Chocolate Poke Cake is just right for you. Chocolate fans should check the Chocolate Category on our blog. There you will find: No Bake Chocolate Peanut Butter Mini Cheesecake, No Bake Chocolate Cheesecake Bars and Chocolate Mousse Cake. For those who prefer chocolate cookies: Double Chocolate Cheesecake Cookies and Chocolate Chips Cheesecake Cookies. Omg 🙂 I could go on and on writing about this cake. Here is the recipe for one of my favorite cakes and I am glad to share it with you. Enjoy this perfect chocolate treat! Click HERE to Save Recipe on Pinterest! 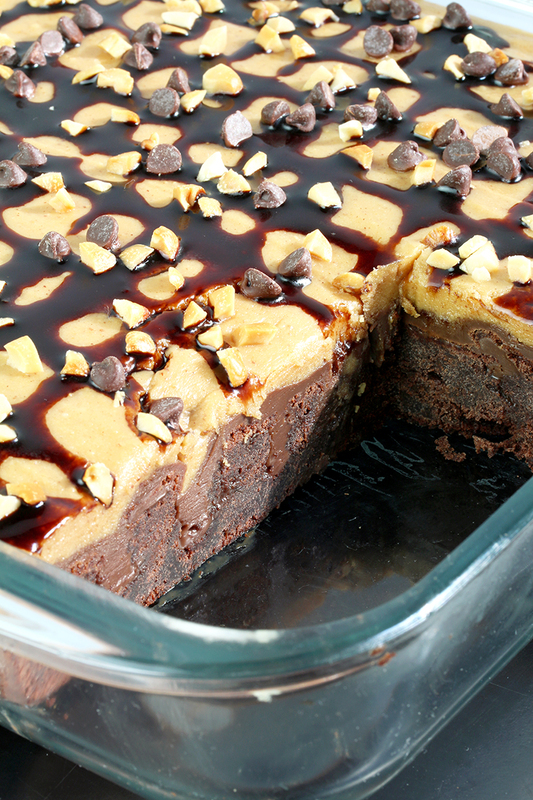 Here is the recipe for perfectly tasty Peanut Butter Chocolate Poke Cake. It takes a special place in my cookery book. 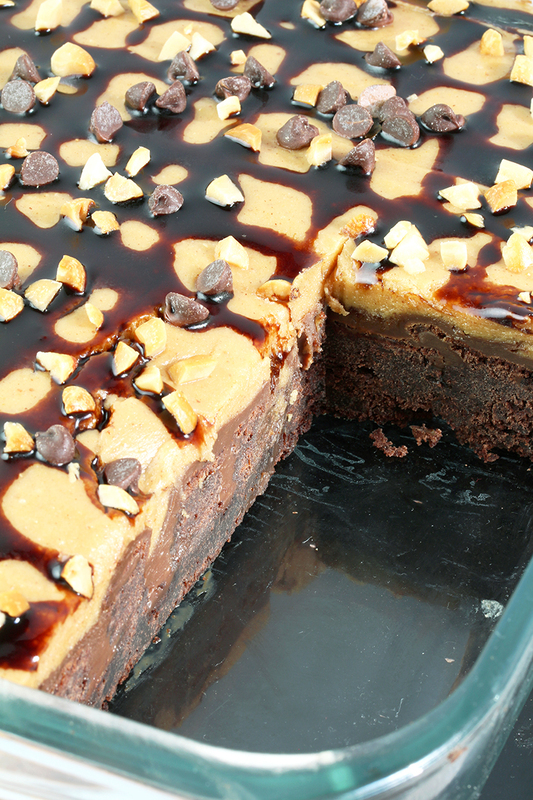 Chocolate + peanut butter = perfection. I am crazy about this combination. Butter and flour 9x13 inch baking pan or spray with non-stick spray. Prepare and bake chocolate cake mix following the instructions given on the package. Leave the baked cake for 2-3 min to cool.Poke the cake with the end of a wooden spoon. In a medium dish put chocolate chips and melt them following the instructions on the package. Add condensed milk and 1 tbsp peanut butter and mix until well combined and smooth. Pour the mixture over the poked chocolate to fill all the holes. Leave it to cool completely at a room temperature, then prepare peanut butter layer. In a medium dish beat peanut butter, butter, powdered sugar, vanilla and heavy cream, until you get a fine cream. Spread evenly over the chocolate layer. Leave in the fridge for a few hours. Decorate with chopped peanuts, mini chocolate chips and chocolate syrup. The pictures make the cake look really fudge like. That’s just cake mix and nothing else? Yes Chris, it’s a cake mix.